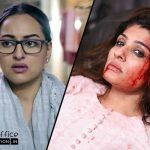 Sonakshi Sinha’s Noor and Raveena Tandon’s Maatr have been released this Friday at box office with decent expectations of fans as well as moviegoers. 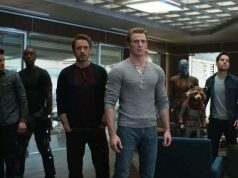 But after the release, both got failed to attract enough audience toward theaters and received mixed reviews from critics. 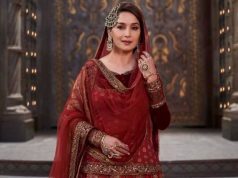 Noor which is based on Pakistani author Saba Imtiaz’s novel Karachi, You’re Killing Me!, was earlier expected to perform decently at box office as it’s trailer was looking interesting. But in actual it remained dull throughout the opening weekend, while last week released English offering The Fate Of The Furious did well. On the opening day, Sunhil Sippy’s directorial reported only 10-15% of occupancy and did the business of 1.54 crore from 1450 screens across the country. With limited growth further, it managed to collect the amount of 1.89 crore on Saturday and 2.09 crores on Sunday. After the weekend, it’s total collection was recorded as 5.52 crores domestically. 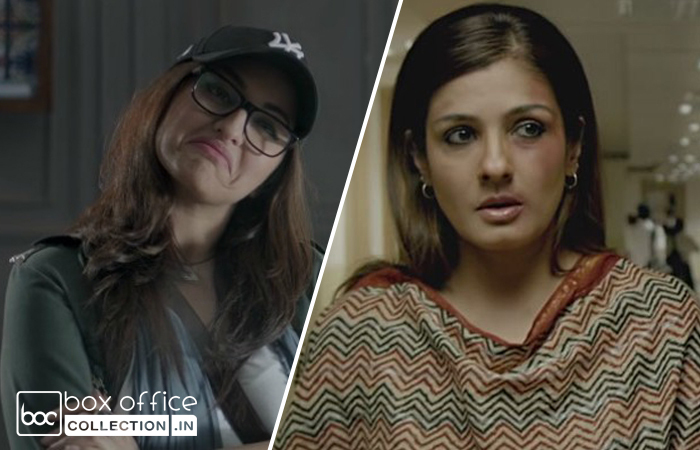 On the other hand, Raveena’s comeback film Maatr is based on serious issues like rapes and violence against women. Despite a strong content, it also got failed to impress viewers as well as critics thoroughly. This one also started on a low note but witnessed comparatively fair growth on Sunday. On the opening day, Ashtar Sayed’s directorial reported 5-10% of occupancy and minted 0.42 crore. With almost similar response, it added the amount of 0.46 crore on Saturday. Then on Sunday, Maatr witnessed fair growth and fetched 0.80 crore. After the opening weekend, movie’s domestic total was recorded as 1.68 crore. Now both the movie have entered in weekdays and asusual started getting lesser footfalls in theaters than before. 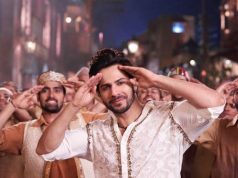 On Monday with around 61% of dip, Noor garnered the business of 0.60 crore, while Maatr raked 0.25 crore on domestic box office with around 40% of drop than Friday.